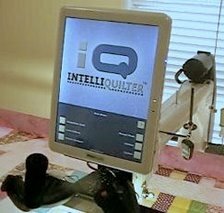 IntelliQuilter Training Videos: Eliminating jump stitches. In this extra project video, I show how to get rid of jump stitches that are built into a pattern. I replace them with the stop to cut threads transition. This is the link to watch it on Youtube.